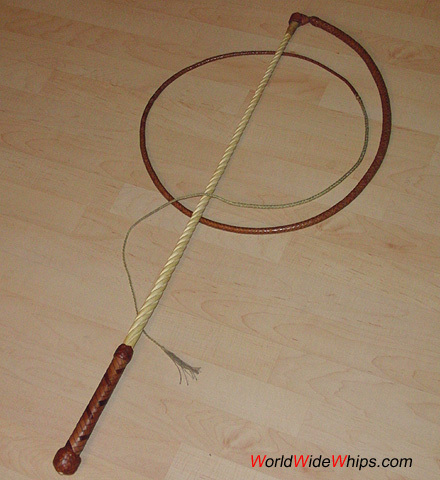 This kind of whip is still in use, but is more a symbol and signal of the tamer and not used to hit the animals. 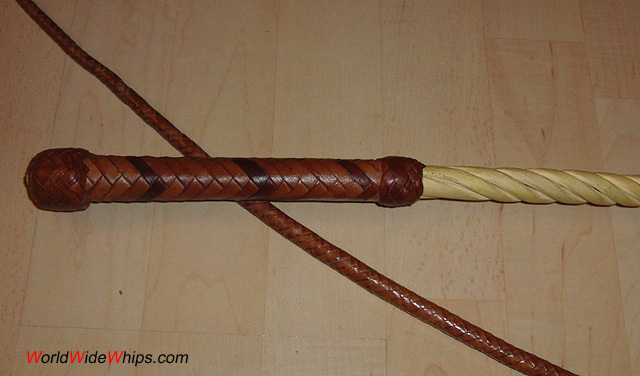 The whip consists of a twisted willow handle with a 12plt overlay on the hand part, and a thong like that of a stockwhip, 12plt / 5ft with a braided cracker as usually seen on signalwhips. This makes the whip very precise.